Nate – I’m not a huge fan of the series.. So this looks not very interesting. I don’t know a lot about it so I can’t say it’s not going to be good. But I’m indifferent towards this one. 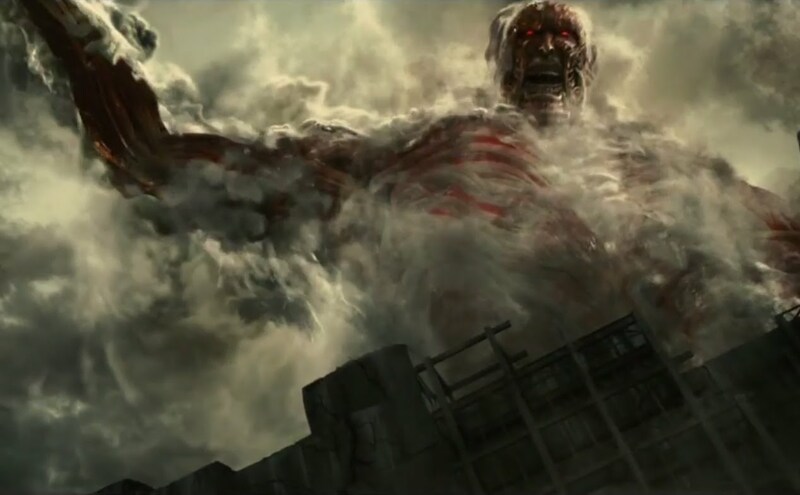 Tim – I was introduced to the Attack on Titan anime last year and thought it was fantastic, so I’m really excited for this movie. It has a really cool, twisty-turny story with some incredible action scenes. We had seen a trailer late last year that was shorter, but now we get to see more of the Titans and the characters zipping around on their 3D maneuvering gear. Considering that this is a foreign film and isn’t a huge Hollywood budget movie, it looks pretty awesome. But the best news is that we now know that it’s coming west in August! I don’t think we’ll see it in wide release, but I will try my darnedest to see it in theaters. Nate – The more I see trailers for this, the more excited I get! I started off being not into Ant-Man at all, and I’m still skeptical about this movie… but not nearly as much as I used to be. I’m starting to think that it could be a hit! So let’s hope I’m right! Tim – I want to care about this movie, but I still don’t. This trailer and some new TV spots have helped to show the lighter side, especially when it comes to the heist crew, but it still looks silly more than funny. Things like the water in the bathtub being a threat… c’mon. That’s just dumb. Reviews have started to come out for the movie, though, and they’re sounding pretty good. So I’ll stay a little hesitant for now, but I’m willing to be convinced. Nate – This looks insane! It’s taking a C.S.I. episode and flipping it upside down. I love what they are going for in this trailer, and I can’t wait to see more! The trailer had me hooked as soon as it started, that’s what I want in a movie. Tim – I think that this looks great. Some of my favorite movies are things like Mystic River and The Town- gritty cop/detective/criminal movies with a lot of gray area. Julia Roberts is an interesting choice for the revenge role and I like seeing actors like her taking different jobs like this. So I’m highly interested in this one.